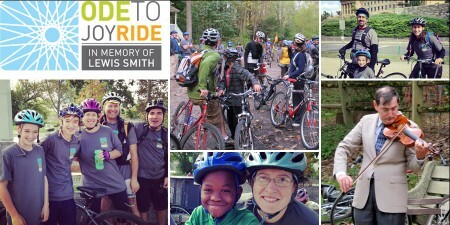 3rd annual Ode to JoyRide: In Memory of Lewis Smith, a much-loved parent at our school who did and meant so much to our community. Join us to ride in Lewis’ memory for either a 25-mile, 10-mile or 5-mile “fun ride,” beginning and ending at Northwestern Avenue on Forbidden Drive. Ride starts at 9 a.m. All funds raised from this ride go to maintaining and supporting our school, teachers, and students through the Annual Fund. Download a registration form and return to development office. Thanks to our sponsors: Wilmington Trust Col, Andrea Smith & Family, M, Via Bicycle Inc., Philly Office Retail, Digital Innovations, Resource Real Estate, Fiorella Woodworking, Geico, Valley Green Bank, Vinylux, Equal Exchange, and the Cedar’s House. Share a recipe. Build a cookbook. A story about the recipe. Is it a family recipe? Feel free to include an art submission for the cookbook too! Art must be one color, hand-drawn, and submitted as a jpeg of at least 300 DPI. Thank you to WSP parents Brett Naylor, Carolyn Stanish, Alisa Shargorodsky, Tiffany Hill, and Jamie Seibert for organizing this project.